The coastal steamer Bermagui was built by the Ailsa Shipbuilding Co Ltd, Troon, Scotland in 1912. She was requisitioned for naval service as an auxiliary minesweeper on 30 October 1939 at Sydney and sailed the next day for Melbourne to begin fitting out. Bermagui in Sydney prior to being requisitioned for RAN service. On 11 December 1939 HMAS Bermagui was commissioned under the command of Lieutenant Leslie N Morison, RANR(S). She sailed from Melbourne on the 15 January 1940, arriving at Newcastle on 19 January, where she took up duty as a unit of Minesweeping Group 77. On 11 July 1942 Bermagui transferred to Minesweeping Group 63 which she remained a part of until 12 February 1943. On 19 February she returned to Sydney where she paid off on 31 March 1943 prior to conversion to a controlled minefield tender. Following conversion, Bermagui recommissioned at Sydney on 4 January 1944 under the command of Lieutenant Maxwell Leane, RANVR. In her new role, Bermagui served in the Brisbane, Sydney and Port Stephens areas and was later employed as a torpedo trials vessel throughout 1944-45. She paid off into reserve at Sydney on 23 November 1945 and was subsequently returned to her owners, Illawarra and South Coast Steam Navigation Co Ltd, on 22 July 1946. 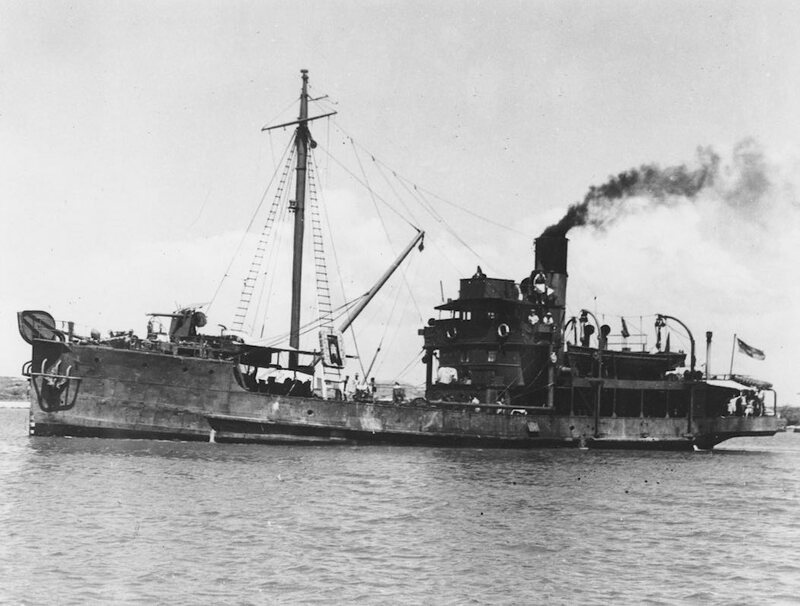 HMAS Bermagui during wartime service. Note the 12-pounder gun mounted on her foc'sle. 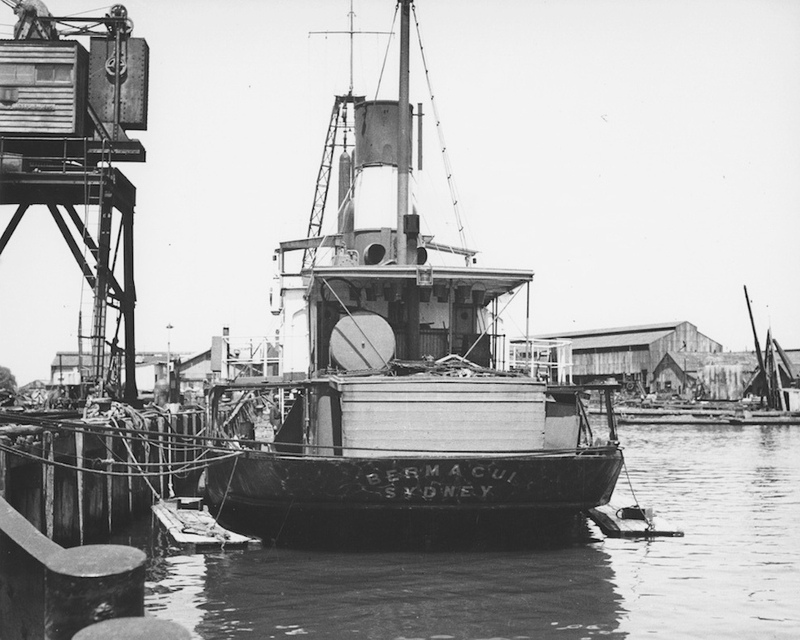 Following twenty years post-war service as a coastal cargo steamer Bermagui was converted to a gravel lighter in 1969 and spent her twilight years on the Brisbane River.